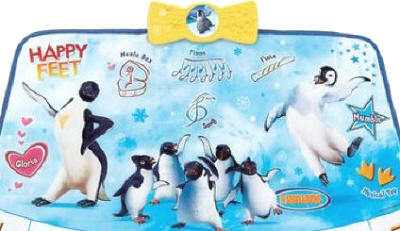 My Family Fun - Happy Feet Musical Dance Mat Kids dance moves with your favorite characters of Happy Feet! Kids dance moves with your favorite characters of Happy Feet! 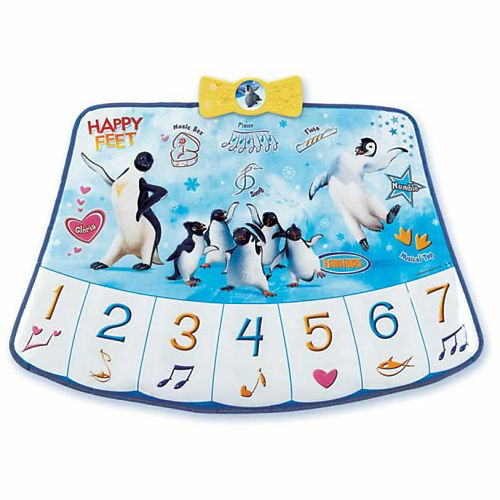 Create lots of beautiful music and dance moves on the Happy Feet Musical Dance Mat. Tap on the keyboard to create your own music or dance along to clips from 10 musical tunes, including the song "Jump N' Move". 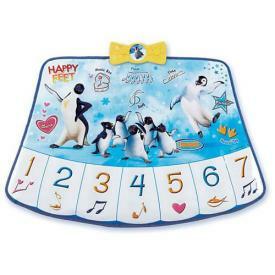 The mat features tap dancing sound effects, 3 instrument sounds, applause sound effects and the voices of Mumble, Gloria and Ramon. Age: 4 years and up!